STEAMBOAT SPRINGS — Steamboat Springs’ most iconic festival, Winter Carnival, is making its 106th appearance this week, offering locals and visitors five days of activities that honor our town’s rich heritage and celebrate its future. It’s an event that shines the light on the achievements of the athletes of the Steamboat Springs Winter Sports Club — past and present — and honors our history with ski jumping on historic Howelsen Hill, a diamond hitch parade and skijoring down snow-covered Lincoln Avenue. There’s a lot to love about Winter Carnival, and this year is no exception. In particular, we’re looking forward to witnessing Tim Borden’s quest to launch a world record-setting firework during the Night Extravaganza, which marks the culmination of the week’s festivities and should not to be missed. 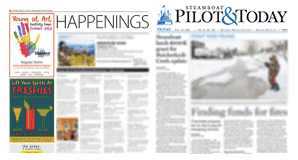 A $10 Winter Carnival button provides you with access to all the action, and the Steamboat Pilot & Today’s 2019 Winter Carnival special section offers an insider’s guide for easy navigation of this year’s celebration. A complete schedule and links to all our stories can be found below. We hope you enjoy everything Winter Carnival and Steamboat Springs have to offer. 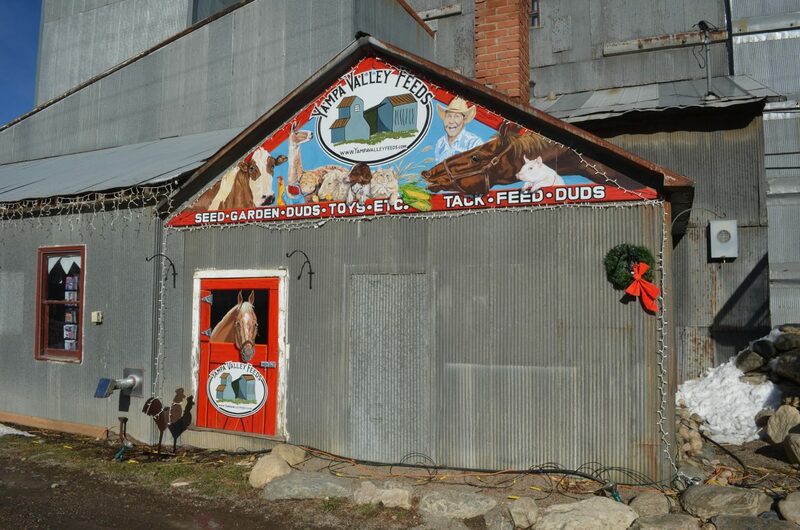 The 106th Winter Carnival is from Feb. 6 to 10 at Howelsen Hill and on Lincoln Avenue in downtown Steamboat Springs. Find more information at WinterCarnivalSteamboat.com or by calling 970-879-0695. Find a complete schedule, including information about how to enter events and buy tickets, here. • 5:30 p.m. Opening ceremonies at Olympian Hall, Howelsen Hill Lodge, 401 Howelsen Parkway. • 6 to 8 p.m. Speed and Flight night ski jumping at Howelsen Hill. • 7 p.m. History of skiing presentation at Olympian Hall, Howelsen Hill Lodge. • 3 to 4 p.m. Snow sculpture judging on Lincoln Avenue, downtown Steamboat Springs. • 4:30 to 5 p.m. Cross-country obstacle course at Howelsen Hill. • 5 to 6 p.m. Powder Tools midwinter terrain park jam session at Howelsen Hill terrain park. • 5 to 6:30 p.m. Parent-child duals at Howelsen Hill. • 5:30 to 6:30 p.m. Ski Jumping Jamboree at Howelsen Hill. • 5:30 to 8:30 p.m. S’more Family Fun Party at Vanatta field tent, Howelsen Hill. 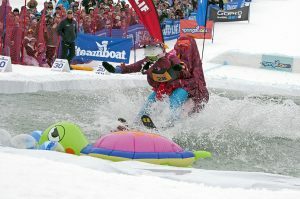 • 10 a.m. Christy Sports Soda Pop Slalom on Stampede run at Steamboat Resort, 2305 Mount Werner Circle. 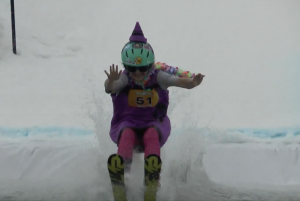 • 4:30 to 6 p.m. Nordic jumping exhibition at Howelsen Hill, 401 Howelsen Parkway. • 6 to 7 p.m. Amateur ski jumping at Howelsen Hill. • 6 to 8 p.m. Johnsie Memorial Dual Slalom Bicycle Race at Howelsen Hill. • 7 p.m. to midnight Tito’s Mountain Soiree at Vanatta Field tent, Howelsen Hill. • 8 a.m. 100-meter Nordic sprint on Lincoln Avenue, downtown Steamboat Springs. 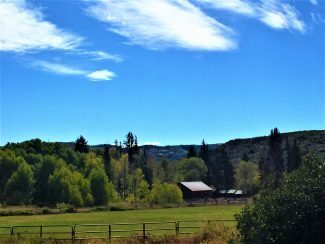 • 8 to 11 a.m. Knights of Columbus pancake breakfast at Holy Name Catholic Church, 524 Oak St.
• 9 a.m. to noon Street Events on Lincoln Avenue, downtown Steamboat Springs. • 1 p.m. Pro Alpine ski jumping qualifications at Howelsen Hill. • 6:15 to 6:45 p.m. Steamboat Springs Winter Sports Club athlete exhibition at Howelsen Hill. • 7 p.m. Night Extravaganza at Howelsen Hill. • 11:30 a.m. Diamond Hitch Parade on Lincoln Avenue, downtown Steamboat Springs. • 1 p.m. Pro Alpine ski jumping finals at Howelsen Hill, 401 Howelsen Parkway. A $10 Winter Carnival button is required to enter or spectate all events. Stop by the Howelsen Hill ticket office with your button to get a free lift ticket from Feb. 6 to 10. Proceeds from button sales go toward hosting Winter Carnival and supporting Winter Sports Club athletes. A release form must be signed or on file with the Winter Sports Club to participate in all events.